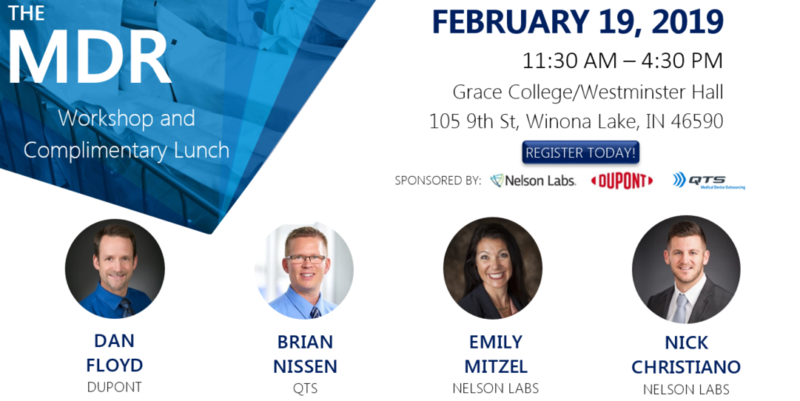 QTS will be joining forces with Nelson Labs and DuPont to bring you a complimentary one-day seminar to learn more about the new European Medical Device Regulation (EU MDR). Our educational sessions will help better prepare you for upcoming changes and requirements in the marketplace and how they directly impact your medical device packaging, labeling, and validations. Note: Lunch and beverages are included. Space is limited, so be sure to reserve your seat now! Stay informed on industry news.